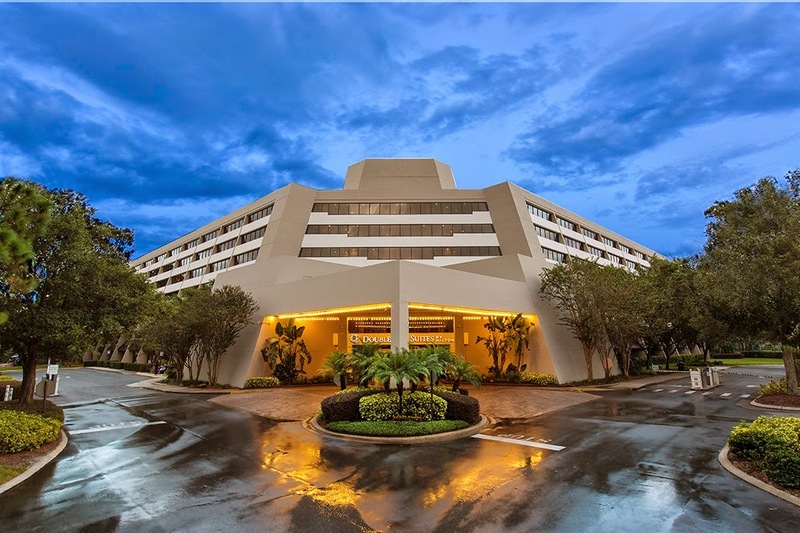 Seven Downtown Disney® Resort Area Hotels In The Walt Disney World® Resort In Florida Offering Enticing “Escape From The Cold” Rates!!! Looking for a cure for the winter blues? 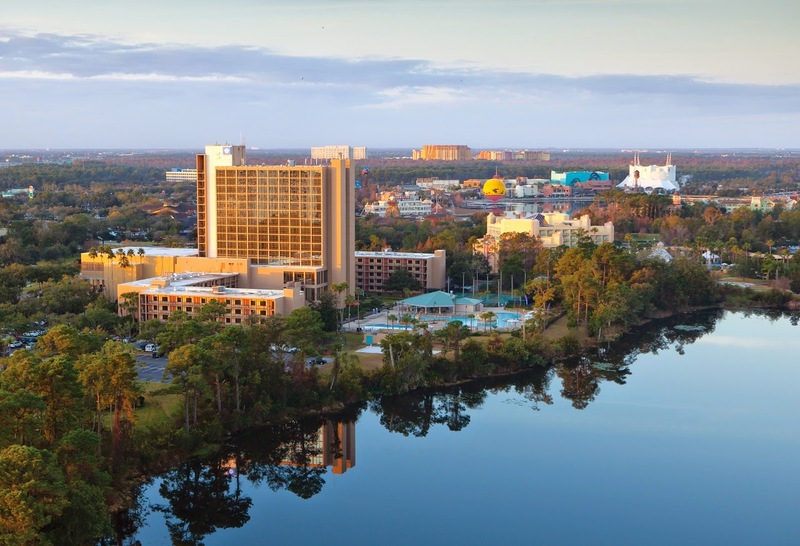 You should consider taking advantage of the special “Escape From The Cold” rates that are being offered by the seven Downtown Disney® Resort Area Hotels in Central Florida. Available February 1-March 31, 2015, the special rates are a great way to escape to the Sunshine State, experience such special events as the Epcot® International Flower & Garden Festival, and to take in the many new offerings in the Walt Disney World® Resort including the recently expanded New Fantasyland at Magic Kingdom® Park. In addition to the hotels having an ideal location with an easy walk to more than 75 themed and immersive shopping, dining and entertainment venues at the Downtown Disney® area, these seven Official Walt Disney World® Hotels also provide complimentary shuttle transportation every 30 minutes to all four Walt Disney World® Theme Parks, two Water Parks, and to the Downtown Disney® area. As a bonus, guests at these hotels also receive the “Downtown Disney Deals” booklet that features exclusive discounts and specials from over 30 merchants on Downtown Disney® area dining, entertainment and shopping. 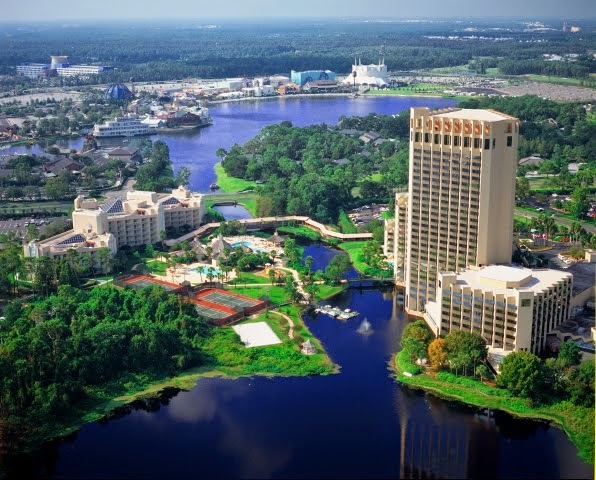 · Wyndham Lake Buena Vista Resort – rates from $97 per room, per night. Among the many coupons featured in the “Downtown Disney Deals” booklet are discounts at Rainforest Café®, T-Rex CaféTM, Wolfgang Puck® Express, Steve Baker Caricatures, The LEGO® Store, Planet Hollywood®, House of Blues® Restaurant, La NoubaTM by Cirque du Soleil®, Splitsville Luxury LanesTM, Bongo’s Cuban CaféTM, and Ghirardelli® Ice Cream & Chocolate Shop. For more information on the “Escape From The Cold” rates or to make a reservation, visit DowntownDisneyHotels.com , specifically downtowndisneyhotels.com/escape-the-cold (or bit.ly/1yEMnc7 ). Rates are based on availability and some blackout dates may apply. The rates do not include the Resort Services Fee or daily parking fee (if applicable), taxes or gratuities. The offer is not valid with any other special offers, promotions, existing reservations, or for groups. · Atlanta Braves Spring Training – March 4-April 4, 2015 at ESPN Wide World of Sports Complex. In addition you also could take in such new offerings in the Walt Disney World® Resort as New Fantasyland, which is the largest expansion in the history of Magic Kingdom® Park. It offers more immersive enchantment and interactive experiences, and features two new themed areas: Enchanted Forest and Storybook Circus. Enchanted Forest attractions and experiences include Under The Sea – Journey of the Little Mermaid; Be Our Guest Restaurant; Enchanted Tales with Belle; Ariel’s Grotto; Gaston’s Tavern; and the crowning jewel of New Fantasyland Seven Dwarfs Mine Train. Storybook Circus attractions include: The Barnstormer featuring the Great Goofini; Dumbo The Flying Elephant®; Casey Jr Splash ‘N’ Soak Station; Pete’s Silly Sideshow; and Fantasyland Station. Other new offerings in the Walt Disney World® Resort include: the new Move It! Shake It! Dance & Play It! Street Party at Magic Kingdom® Park, with new music, new characters, and more audience interaction; a new Canadian Lumberjack Show at the Canada pavilion at Epcot®; For the First Time in Forever: A Frozen Sing-Along Celebration at Disney’s Hollywood Studios®; the display of the original golden coach from Disney’s new live-action feature “Cinderella,” at Disney’s Hollywood Studios® (from February 1-April 11, 2015); the opening of Exposition Park at Downtown Disney® West Side, the permanent home of four Disney-owned food trucks; and the opening in November 2014 of a new five-level parking garage with 4,000 spaces at the Downtown Disney® area. What’s more, in 2015 the Downtown Disney® area will evolve in to Disney Springs® – adding new shopping, dining and entertainment venues for your enjoyment. This one-of-a-kind destination will overflow with sights, sounds and flavors that come together in a beautiful outdoor environment with a charming waterfront setting. An experience only made possible by the imagination of Disney, this vibrant destination will offer a mix of unique (non-Disney) retail, distinct Disney shopping and incomparable dining offerings. Set amid beautiful open-air promenades and meandering springs, Disney Springs will double the number of shopping, dining and entertainment venues, and will be complete in 2016. Additionally, guests purchasing tickets to the Walt Disney World® Theme Parks in advance are now able to reserve access to some of your favorite Walt Disney World® experiences before you even leave home, with the Disney FastPass+ service – at no extra charge. With valid park admission and online registration, you will be able to choose from more than double the previous number of experiences and skip the standby queue at the attractions that you selected in advance, and – for the first time ever – Fastpass+ service includes select Character Greetings, shows, parades and fireworks. You also have the ability to make changes anytime so that you can lock-in some of your must-do attractions and entertainment experiences, and relax and enjoy the moment with your family. “The weather is absolutely beautiful, and the special events at the Walt Disney World® Resort are outstanding, which makes it a wonderful time to visit,” said Doug Smith, chairperson of the Downtown Disney Resort Area Hotels’ marketing committee. Downtown Disney® Resort Area Hotels is a consortium of seven Official Walt Disney World® Hotels that includes: the stylish B Resort & Spa, opened in June 2014 with 394 newly renovated guest rooms and suites, the full-service B Indulged® by AVEDA Spa, and American Q signature restaurant; the 18-story, 325-room Best Western Lake Buena Vista Resort Hotel, overlooking Lake Buena Vista and the Walt Disney World® Resort, and offering two restaurants, lounge, and wireless internet; Buena Vista Palace Hotel & Spa, offering 1,014 guest rooms and suites, three pools, tennis, basketball and sand volleyball courts, five restaurants/lounges and a full-service spa; the luxurious and spacious 229-suite Doubletree Suites by Hilton, the only all-suite resort hotel in the Downtown Disney® Resort Area; Hilton Orlando Lake Buena Vista, walking distance to Downtown Disney® and the only Downtown Disney® Area Resort offering Extended Theme Park Hours; the Holiday Inn Orlando – Lake Buena Vista, the only Holiday Inn located in the Walt Disney World® Resort Area and featuring elegant rooms with modern Florida décor; and Wyndham Lake Buena Vista Resort, featuring 626 guest rooms (which each feature a refrigerator), the Oasis Aquatic Playground with two pools and interactive water features, and six dining options. 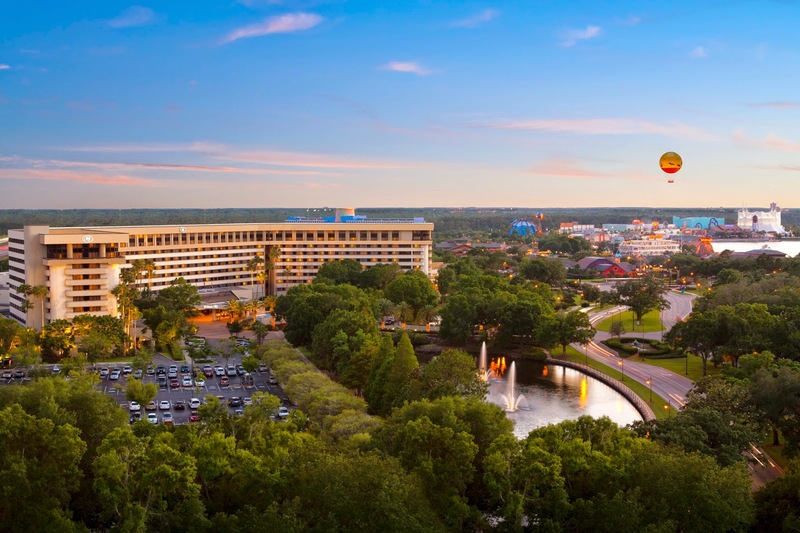 With nearly 30 food and beverage outlets and restaurants, more than 3,600 rooms and an array of amenities, the Downtown Disney® Resort Area Hotels offer a rate, space and menu to please every guest. Located in the heart of the Downtown Disney® area, these properties are within walking distance of exceptional shopping, dining and entertainment venues. 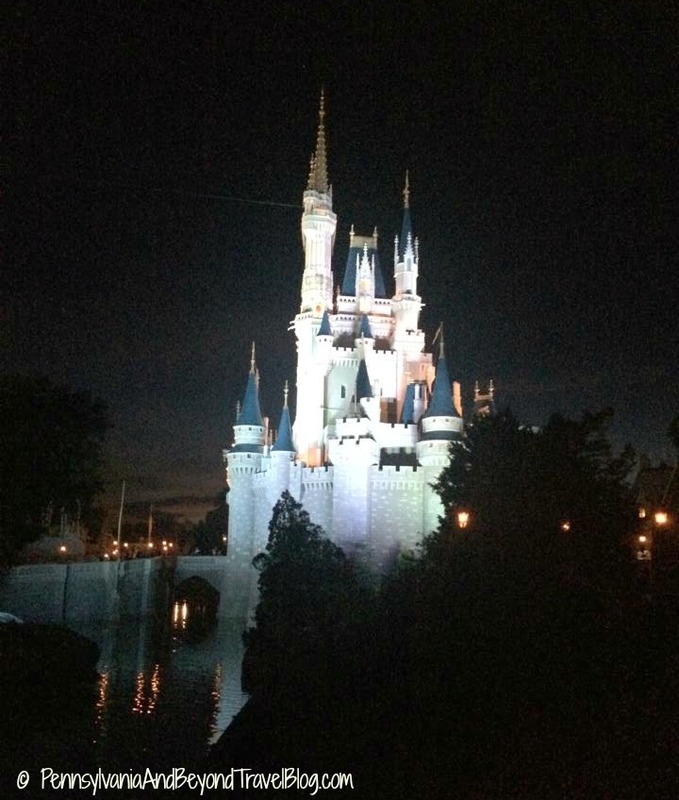 For reservations, or more information, visit DowntownDisneyHotels.com .